At this Johnson Research Site, MBFI is researching rodent control. This page provides information about this particular research project; including the background, objectives, and updates. There is a well-established population of Richardson ground squirrels, Northern pocket gophers, and thirteen-lined ground squirrels on the research paddocks at the Johnson site. These burrowing rodents interfere with the research and forage production and, therefore, a goal of reducing the population by 70% was established. It was estimated that the rodent population at the Johnson site would consume 7975 lbs of forage (or about 8 thousand lb bales) during the season. The ideal time to capture burrowing rodents is early in the season when forages are short, and the juvenile animals are abundant. using a combination of treatment methods (cultural, mechanical, biological, pesticide use) to provide acceptable pest management strategies to prevent damage and control nuisance rodent numbers. As of March 23-Control rates of Richardson Ground Squirrels (RGS) were below anticipated levels for 2016 with a total of 182 caught. 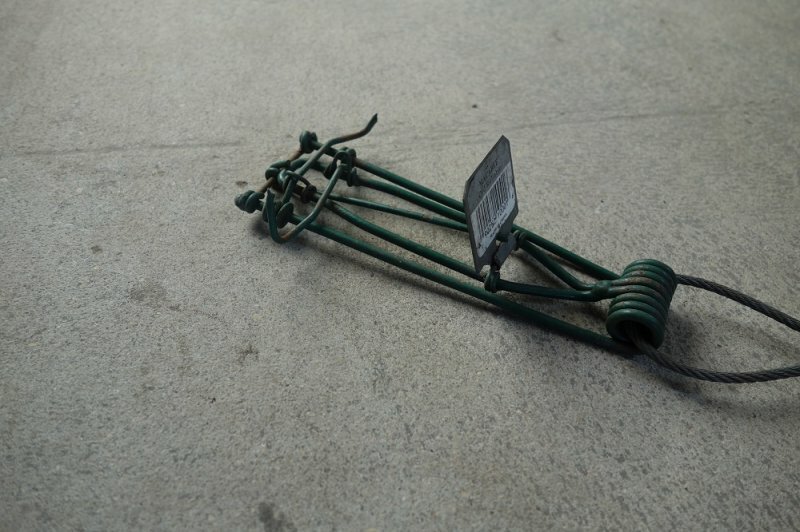 An analysis of the traps and hours deployed was conducted and found the Lee’s Gopher Trap to be the most effective of all trap types used. Most (70%) of the RGS were caught in May and June and is attributed to the increased level of RGS activity during these months. Based on these results, it is recommended that staff focus trapping effort during early spring to catch pregnant females with less hours dedicated mid-summer with another increase in efforts in August to catch juveniles prior to hibernation. Also, additional Lee’s traps will be purchased to have more of these deployed during trapping. An artificial nesting structure was constructed and erected in late December. This structure may be beneficial to encourage nesting and increase population of the red-tailed hawks already present on site. As Of July 29 - Over the past few weeks, trapping has been focused on the corn paddocks due to high rodent pressure which caused large losses at the seedling stage. Firearms were also used to help increase the number of rodents killed, which was successful. The catches have now decreased due to the forage height, rodent age and we also believe the population density has decreased in the area. Due to the height of the corn we are having trouble locating traps which means we will be moving them out of these plots in the next week. Recent new activity in the corn plots has been moderate (i.e. visual and auditory observations has been declining). However, clearings within the corn and the area that was recently reseeded still has higher activity than other forage plots. The rodents that have been caught in the traps recently have all been proper catches. Something we have also noticed is that the rodents are starting to dig around the black boxes to avoid being caught. The Lees Gopher Traps are starting to become harder to trip which could be due the amount of rain they have been through in the last month impacting the steel triggering mechanism. Trapping will continue for two to three more weeks or until the rodents begin to hibernate. 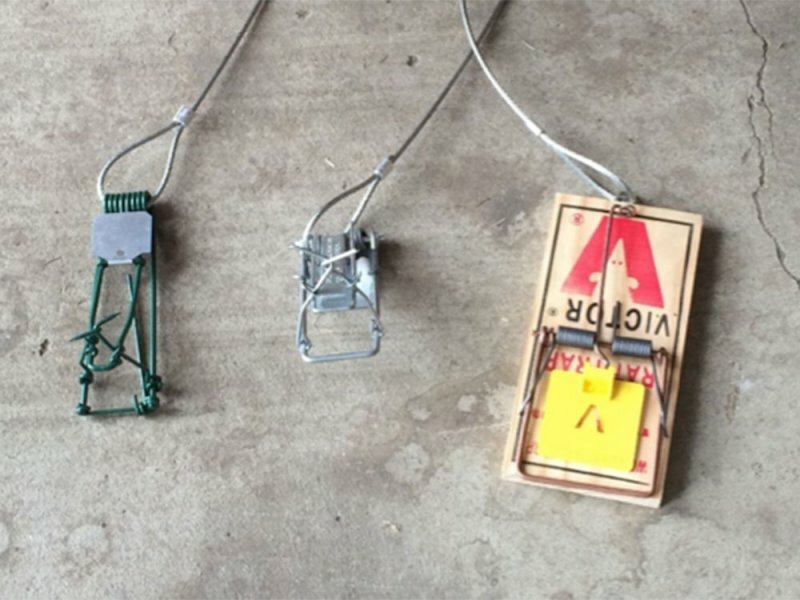 As of June 2016 - several different traps are being used, including, Victor rat, Black hole, Lees gopher trap, Macabee and Victor easy set. Trapping began in mid-April and to date the staff have caught 30 male and 40 female Richardson’s Ground Squirrels, as well as two male and one female Northern Pocket Gophers. When the fields are being worked or seeded the traps are taken out to avoid any damage to the traps. Currently, the field is being seeded and the traps are not set. We look forward to finishing seeding and beginning to trap once again. As of Fall 2015 - two summer students were tasked with setting and maintaining lethal traps to capture burrowing rodents. The trapping started later in the season than is ideal, which likely affected their success. In total, 992 traps were set and checked every four hours, which took 60 hours of labor. During this time, 37 rodents were caught. When all costs are considered this works out to $19.45 per rodent caught. It was also determined that the Black Box style trap worked the best out of the four trap types.